Darren Fleet is a stand-up comedian that has been entertaining since October 2015. His work has been recognized and shared on social media by Mike Epps. 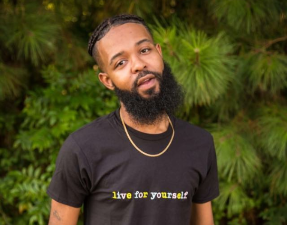 Many doors have opened for Darren in his short career such as getting a request to perform on a show for Ricky Smiley and to appear on Show Time at the Apollo. Darren, at the age of 27, has headlined over 55 venues cross the US. Major comedy clubs such as Broadway Comedy Club in NY, Zanies in Chicago, as well as the Comedy Zone in Charlotte NC and now the Comedy House in Columbia SC. On combined social media sites he has well over 1 million followers. Darren’s motto is “yeah I said it and I ain’t taking it back cause I meant it”.